Finally, after almost all of November on my own, I have my husband back and I’m very happy about that. I have a lot of respect for single parents and for parents where one of the couple spends much of their time travelling. I will only be on my own for about a week this month. Thank goodness for that. 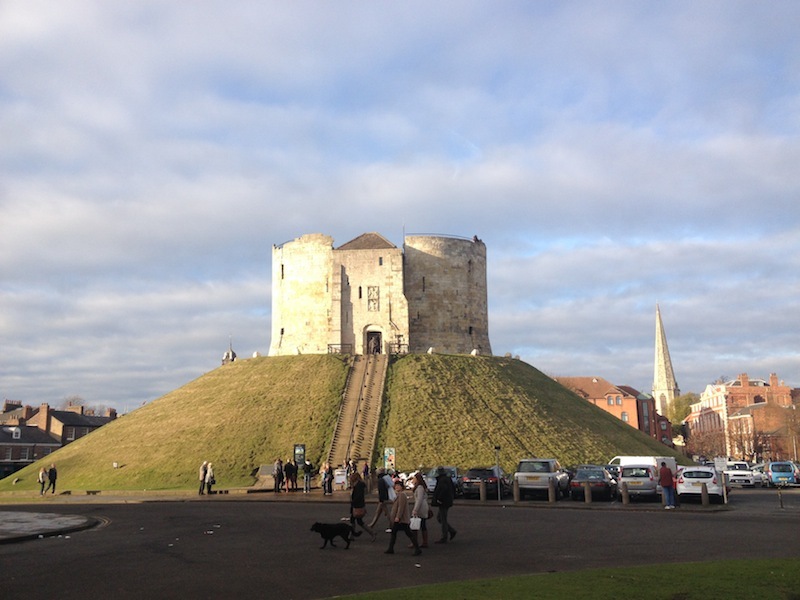 We finally got around to visiting Clifford’s Tower over the weekend, the ruinous Norman keep of York castle. There was once a wooden structure on the site which was built by William the Conqueror in 1068. This was twice burnt to the ground and eventually replaced by the stone structure currently resting on top of the hill which is all man-made. It was built in the 13th century by Henry III as a defence against the Scots. We all loved it. 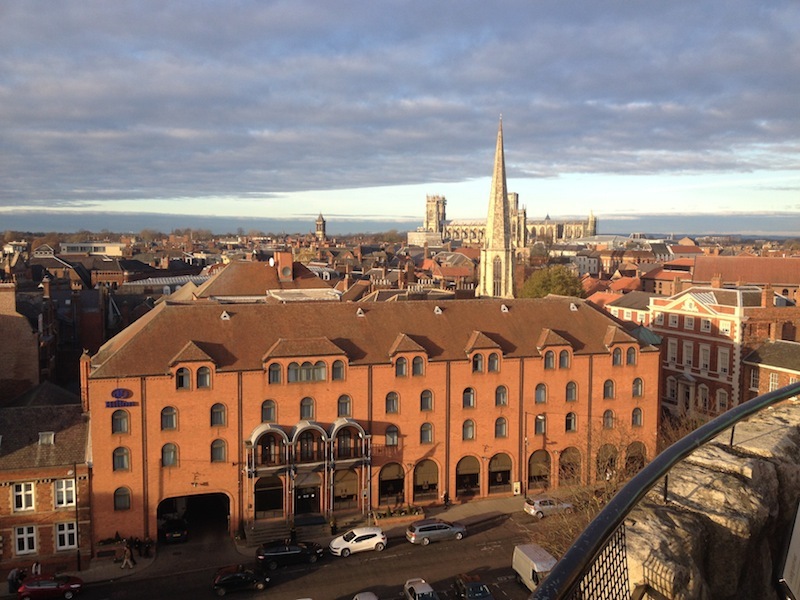 The views from the top over all of York are magnificent and are worth the visit just on their own. 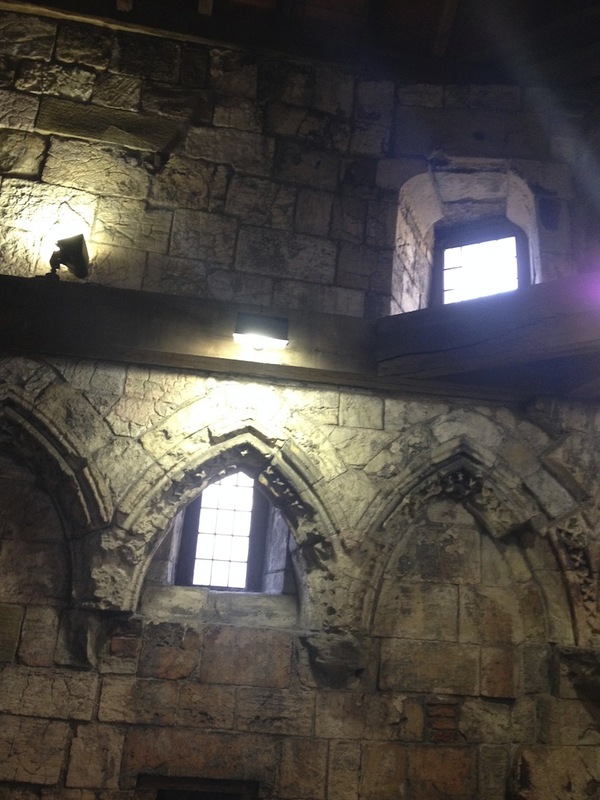 But the design of the Tower is also very interesting with its four circular lobes in the central courtyard, a very well-preserved chapel and the narrow, spiral staircases leading up to the very top of the Keep. 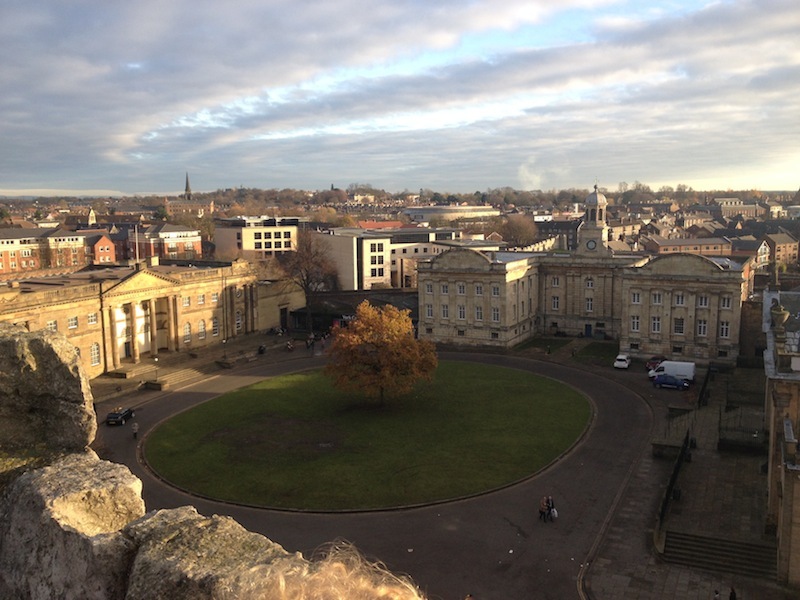 I noticed quite a few complaints on TripAdvisor about the entry fee for Clifford’s Tower but I thought it was well worth it at £4.20 per adult. 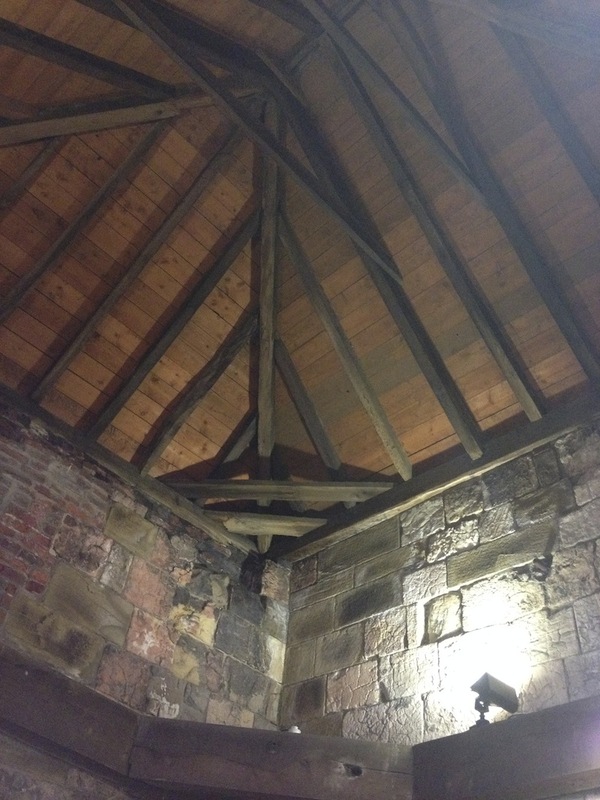 How often do you get to step inside a Mediaeval castle where Kings and Queens of times past have slept? 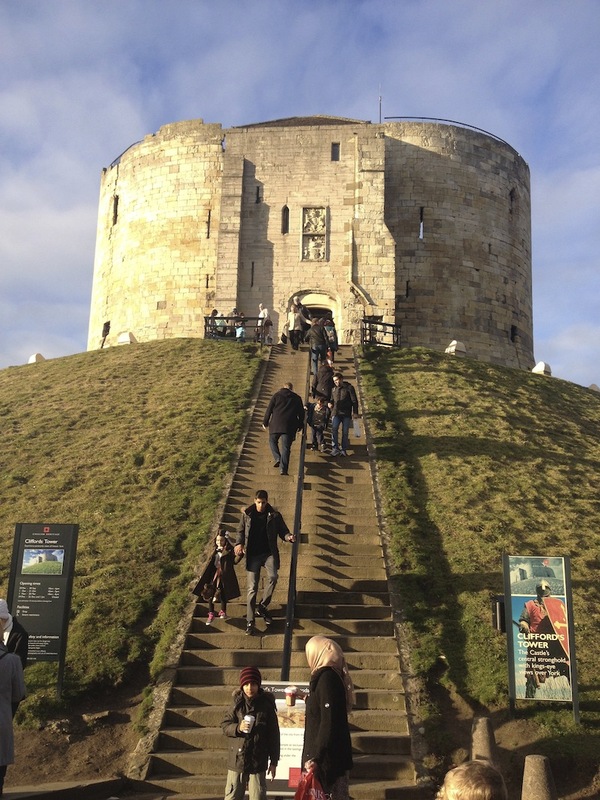 Posted in Photos, Travel and tagged castle, Clifford's Tower, Keep, photos, travel, traveling, travelling, York. Bookmark the permalink. It was magnificent! Thanks, Annie. From afar it looks like crazy golf. Imagine if crazy golf had a mini interior like the real thing? Haha, yes it does. It could be made of styrofoam and be one of those cheesy crazy golf courses. But I promise that it really is made of stone. The Tower looks as though it would have taken a lot of ‘building’. All that stone work! Love your photos. I can’t believe that anyone would complain about the admission fee. It’s pretty cheap, really. Glad you have Ben back. Hope that means that we’ll be treated to more posts about weekend forays to interesting places. The stone work is very impressive. I can’t believe that humans built stuff like that so long ago. 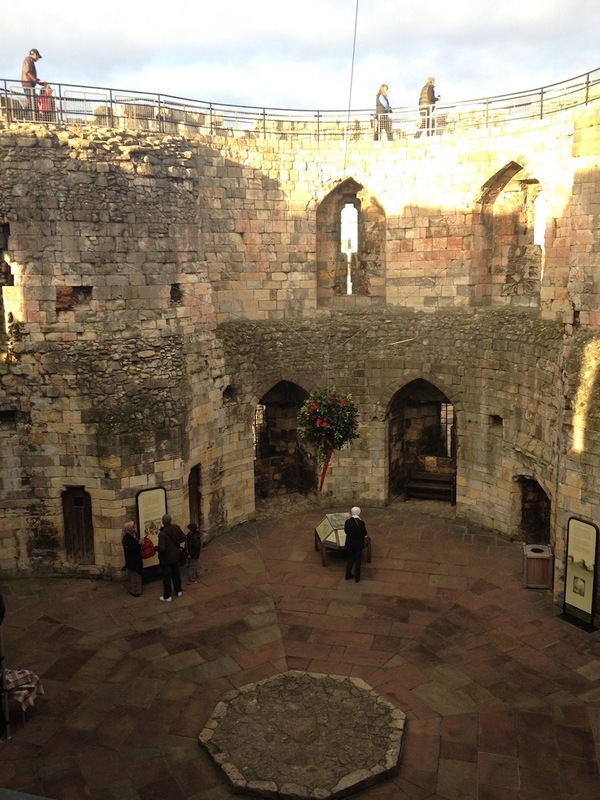 Not been to Clifford’s Tower Rachel, loved the pics and looks like another happy family outing. This is my kind of place, thanks for writing about it, will be sure to visit it whenever we next visit York. Yep, hubby has been giving talks all over the country and even abroad. I really don’t mind though and have been encouraging this. I am looking forward to Christmas although I have yet to do any Christmas shopping! We will keep it simple this year since we’ve already got way too much stuff to cart back to New Zealand. I might have to send a box or two separately. I reckon that hill is bigger than it looks in the photo. It certainly felt like you were going up quite high as you climbed the stairs. no wonder it’s so well fortified as at £4.20 they need to high walls to keep out all the people who’ll want to try to sneak in for free. Very true. I can’t imagine anyone trying to scale those walls! How wonderful and I don’t think the price is too much. I would pay it ! Thanks, TBM. It was wonderful. I forgot to say that people who are members of English Heritage get in for free! We would join up if we were staying here permanently.